Against All Odds: A Q&A with Sarah Sellers! For National Nurses Week, ADVANCE set out to talk with a professional whose life or accomplishments outside of work exemplified the spirit of nursing. We found her about three weeks ago. 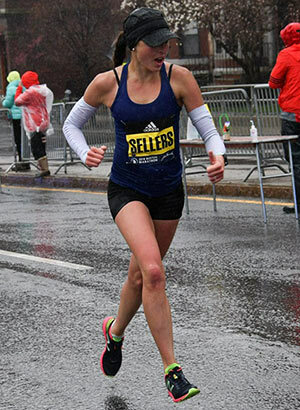 Sarah Sellers, RN, BSN, CRNA, a 26-year-old originally from Ogden, UT, and currently working as a certified registered nurse anesthetist at Banner University Medical Center in Tucson, AZ, finished second among all women finishers at the 2018 Boston Marathon. While Sarah’s amazing accomplishment came as a surprise to many in the running world—even herself—this story isn’t about her finish. It’s about her start and her journey into the history books. ADVANCE: When did you start running? Sellers: Since middle school—I was about 11. At Weber State University, I ran competitively until my senior year when I developed a stress fracture. I still had about a year of eligibility left, but I wasn’t able to heal quickly enough before I graduated. What Sarah doesn’t mention is that she was a Big Sky champion in these events, and was named Weber State University’s 2012 Female Athlete of the Year for these accomplishments. You may have also heard of the male winner that year—NBA All-Star Damian Lillard. Meanwhile, she was registering even more impressive numbers in the classroom—a 4.0 GPA. ADVANCE: Describe the experience of becoming an accomplished college athlete while also studying and trying to start a career. Sellers: Busy (laughs). Especially once clinicals started, it was harder and harder to make it to practice. I ended up having to train on my own sometimes. Recovery was tricky too—I wasn’t necessarily on a normal sleep schedule. I’m glad I did nursing school while I was running—I learned so much. But it might have played a factor in the injury, because I think my schedule affected my recovery. ADVANCE: 5K and 10K are long races in track and field, but distance-wise they don’t compare to marathons. When did you make the decision to move into longer distances? Sellers: I knew after college, marathons were something I wanted to try. But after I got injured, I didn’t know whether I’d be able to train to that extent again. It was hard to accept that I might not compete again, because competitive running defined me in a lot of ways. So I took a year or two off, and once I got toward the end of CRNA school, I started running again. I had some small setbacks, but nothing major. ADVANCE: How do you train for a marathon while working a full-time job at Banner? Sellers: I’m lucky—my schedule is pretty regular at Banner. I do have to get up early, so I’ll do a morning run at about 4 a.m. Then after work I’ll run again at about 6–7 p.m. I was averaging about 90 miles per week. The biggest factor is getting enough sleep, plus mental stress—it’s one thing to do a hard workout, but doing it after a hard day of work can be mentally draining. But I think it helped in Boston—it was a draining, mentally taxing race, and I’m used to doing workouts when I’m tired. I think it helped, and I was fortunate because my schedule allowed me to run a marathon before Boston. ADVANCE: Boston was only your second marathon? ADVANCE: That’s… I mean, that’s pretty impressive, right? Finishing second in the world’s most famous marathon on just your second try? Sellers: (laughs) Yeah, it’s definitely surprising. I was shocked, for sure. April 16, 2018 was not, to put it kindly, ideal marathon weather. The 41-degree temperatures were bad enough, but the steady, sometimes pouring rain and headwinds up to 30 miles per hour made for what most experts agreed was the most miserable race day in the event’s 122-year history. ADVANCE: So you’re training in Arizona—warm, dry climate—then running in that weather. That couldn’t have been fun. Sellers: It was actually more intimidating in the days leading up to the race. You’re watching the weather forecast get worse and worse. And the winds—I mean, cold and rain is uncomfortable, but you can still have a good race. Headwinds change everything though. We took busses to the start line—I’m looking out the window, and there’s snow on the ground. I’m from Utah, I’m used to snow. But this is wet snow on the ground, with sleet falling. It was definitely intimidating. But once I got to the start line, I was calm. I knew it wasn’t just me dealing with it. Back in Utah, I’d go on long runs by myself, and sometimes you’d start getting a little hypothermic by yourself. I figured at least on the marathon course, there’d be aid stations everywhere—you’re never in any mortal danger. The coolest thing to me was that I rode up on the bus with women who’d run a similar time in qualifying. Normally, in marathons, you’re just putting your head down, doing your own thing—but that weather brought us all together. With those headwinds, you need to work together, take turns leading, really work as a team. There was a lot of camaraderie, which calmed me down. We started off super slow, then the lead pack kind of broke off after a couple miles. It was only my second marathon, so my goal was to conserve my energy, wait until maybe mile 19–20 (out of a total 26.2 miles) before putting in my hardest effort. Sellers: The hardest part was the portions of the race where I was running alone. You’re getting physically exhausted, getting hammered by the elements, and mentally you’re down because you don’t have any contact with anyone. Luckily, that was only a small part of the race. The turning point was about miles 16–20—there’s a lot of uphill running. Before the race, that’s what made me most nervous. But I felt great at that part of the course. I think the hills were blocking some of the wind. I felt strong going up the hills, and when you crest that last hill, that’s 20 miles. With six miles to go—that’s a 10K. That’s what I’m used to running from college, I know what that feels like. I decided that was the time to kick in the extra gear and see if I could pass more people. In Sarah’s first marathon back home in Utah, she’d finished in two hours, 44 minutes—a strong enough time to qualify in the fastest division for Boston, but to hear her tell it, not a world-class finishing time. But with the conditions, as race day went on it became clear no speed records would be set. Instead, the best performances would be turned in by the survivors—the toughest runners who could persevere through the elements. ADVANCE: So after mile 20, it’s all downhill from there? Literally and figuratively? Sellers: It definitely felt like my chance to move up in place. About 1.5 miles from the finish, I moved into an extra gear. Coming down the home stretch, I had no idea what place I was. I knew I was doing well because I recognized some of the people I’d passed. I was just trying to get to the finish line—but the crowd was super-excited. ADVANCE: So what happened at the finish line? After that, just… disbelief for me. I thought maybe I was second in an age group? Definitely not second overall. ADVANCE: So where do you go when you’re 26 years old, and you place second in the most famous marathon on only your second try? Do you want to go back and win it? It’s easy to have doubts like that. Going forward, I think I might focus a little more on my training. I still have a lot of work to do. If it had been a sunny day… I can’t run a marathon in two hours, 23 minutes, but there are about 10 women in that field who can. ADVANCE: So there are people—not many—but some people, who can run faster than you if you’re both having your best day. You didn’t say this, but it sounds like they might be faster, but you’re tougher. Does that sound familiar? You excelled in difficult conditions, excelled in terms of mental toughness, you were able to bond together with others and worked as a team… like you said, unique circumstances, but you were the one who thrived. That kind of sounds like nursing in a nutshell. Sellers: In nursing, you see people from all walks of life at their lowest point. It provides empathy and perspective. So even when I’m hurting during a race… it’s not pancreatic cancer. It’s not being awake on a ventilator. Nursing has given me perspective, and the motivation to push through the pain, because I know how much harder it could be. ADVANCE: If your patients can get through those trials, you can get through the last few miles. Sellers: Exactly. Remember, I’m out there voluntarily. I’m in control of how much pain I’m putting myself through. 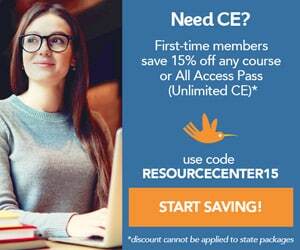 There are a lot of people who aren’t in control of that—but I can help them through that pain with my nursing and running experience.